Channel i is the first digital Bangla channel. It runs 24 hours a day since launching in October 1, 1999. Channel i with the slogan "Hridoya Bangladesh" (means Bangladesh in it's heart) has been acclaimed as one of the leading educational and entertainment Bangla channels. The channel is using C band space segment from Telstar 10 at 76.5° E geo-stationary orbital location. More than 84 countries including part of Australia, Asia and Pacific Islands, Middle East, Africa and part of Europe are covered by the global C-band beam Telstar 10, where Channel i is available. Channel i is being distributed across the USA since 2004 through Dish Network on 24 x 7 basis with the slogan of Probashey-O-Bangladesh (means Bangladesh in overseas). The target viewers of Channel i are all over Bangla speaking people and it is a general entertainment exclusive Bangla channel, suitable for all members of a family. NTV is first automation based private satellite TV channel in Bangladesh presenting a wide assortment of news and entertainment programming to viewers. The most colorful program and the best program quality keep it distinct compare with other satellite channels. 24 hour service increases its popularity. It switched over from analogue to digital technology. NTV’s screen became brighter and more attractive. NTV opens the new chapter by extending its transmission of Bangla programs and Bengali culture to UK, USA, Canada, Some parts of Europe, Middle East and beyond. 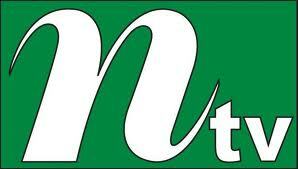 The NTV accepted the challenge and started competing with other satellite channels. A group of young, energetic, committed people under the leadership of an experienced and seasoned broadcasting personality, prepared news for telecasting home and abroad for millions of viewers. NTV takes vote from its viewers and takes their valuable suggestion to do the best. That’s why this channel can meet up the demand of viewers. 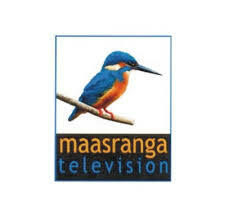 Maasranga Television is a member of the SQUARE Group, a prominent business group in Bangladesh. It operates under Maasranga Communication Ltd. has a complete newsroom system, production and master control switchers, and infrastructure equipment as part of the rollout of an HDTV station in Bangladesh. Maasranga television is capable of delivering HD video. The whole system in Maasranga TV is fully digital and high defination (HD). SQUARE today symbolizes a name – a state of mind. But its journey to the growth and prosperity has been no bed of roses. From the inception in 1958, it has today burgeoned into one of the top line conglomerates in Bangladesh. ©2013 OCTENN Templates - All Rights Reserved.